One of the Boothill markers commemorates H.B. Cook, who died from unknown causes in 1882. Boothill Graveyard is one of the major tourist attractions in Tombstone. You now need $3 to visit Boothill Graveyard and see the headstones of the McLaury brothers and Billy Clanton, who were shot in the O.K. Corral gunfight in 1881. Row-by-row, seven to be precise, are some of the most well-known figures of Tombstone history. And with the cemetery on the outskirts of downtown, it is the first attraction many visiting tourists see. Boothill used to operate on donations and was operated by the Tombstone Chamber of Commerce. On March 14, the city took over, built a guardhouse and demanded $3 for admission for anyone older than 16. 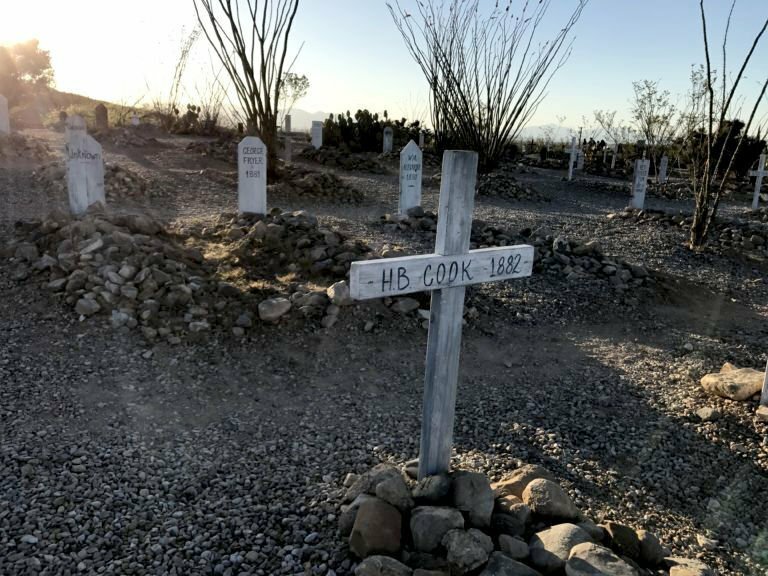 In 12 days after the city began collecting the fee, Boothill raked in $16,761 compared to $24,427 the cemetery brought in during the previous three months. As the town took a step to improve tourism revenue, the council appointed Gordon Anderson, owner of the Larien Motel, and newcomer Jon Donahue as directors of tourism. “I moved here three months ago and they didn’t seem to have enough tourists. I picked a town where old people like me who know about Westerns are starting to die,” Donahue said. Donahue saw Tombstone setting a high expectation for its revenues, but the town never came close. “I picked a town that’s basically going along (with) the general economy. Overall, I didn’t think Tombstone was keeping up with inflation,” Donahue said. Donahue’s primary focus is connecting with international sister cities in Europe, Canada and Mexico. Sister cities are modeled similarly to Tombstone, admire the Old West and communicate marketing tactics to increase tourism. Going along with the economy and keeping up with the Joneses was something Tombstone has been doing the last five years. And Boothill has underachieved since 2010. Tombstone was expected to have revenue over $100,000 in every year except for 2013-2014 and only got close in 2011-2012 when it reached $96,142. But even in that fiscal year, revenue was estimated at $150,000. With the cemetery bringing in bigger bucks, where will the money go? For one: The four part-time employees running the booth are now on city salary. 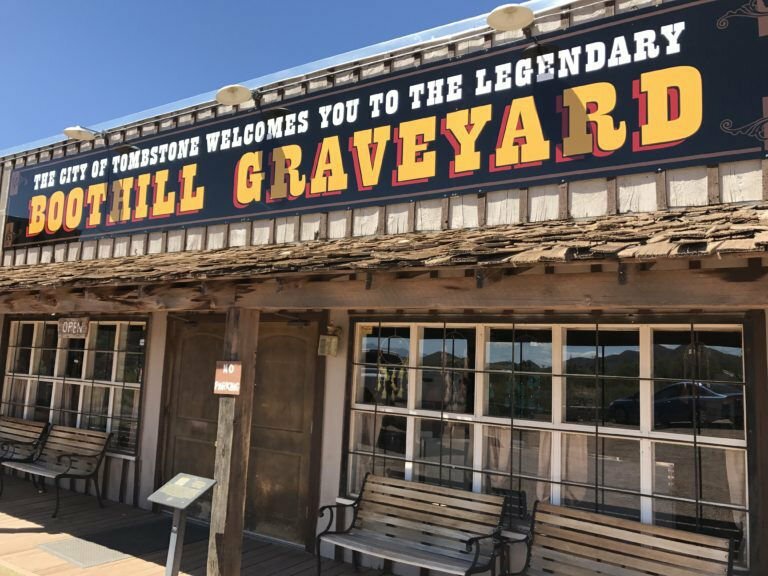 The city will pay for Boothill’s maintenance, which includes weed control and ensuring the graveyard’s gravel is even for visitors. Last year, the city spent $44,931 on Boothill. Tourists like Susan and Graham Ella, who have been visiting Tombstone from England twice a year since 2001, said they have dealt with worse prices for historical attractions. “Three dollars is nothing. You pay more than that for coffee in a lot of places. Go to Lincoln in England and we’ve got a cathedral with a big sign that says, ‘Suggested donation: $10,’” Susan said. No one foresees any issues with the mandatory fee. “That will have no effect whatsoever on tourism. People coming in here don’t mind paying $3 to go to a tourist attraction. Nobody cares,” Donahue said.